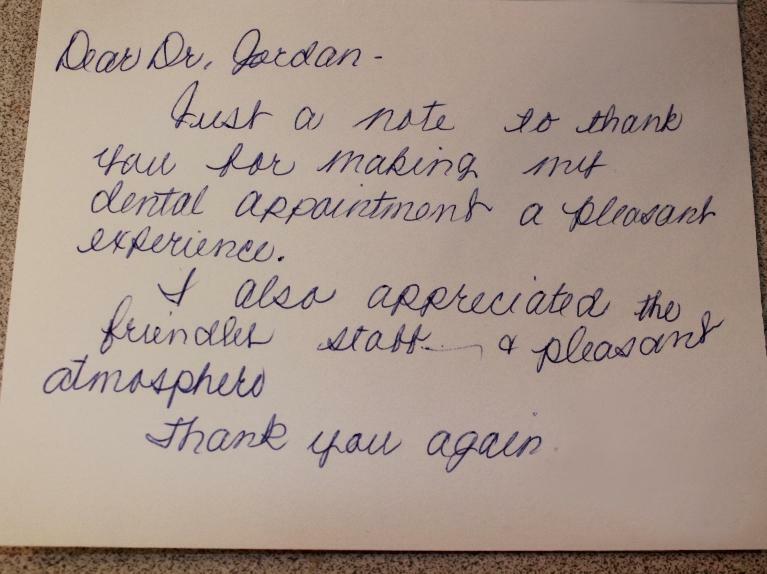 Dear Dr. Jordan, Thank you for your expertise in removing wisdom teeth. The "care sheet" was especially useful and your follow up call later that night was appreciated. Thank you for your genuine care and concern for your patients. Just a note to let you know I have had no trouble with the filling you did for me on March 7th. My night guard fits just fine. I did not have any soreness from the injection either. Thank you! Have a great day. Dear Dr. Jordan and staff at Lone Oak: I just wanted to thank you for the impression I was left with after the dental work I recently had at your office. 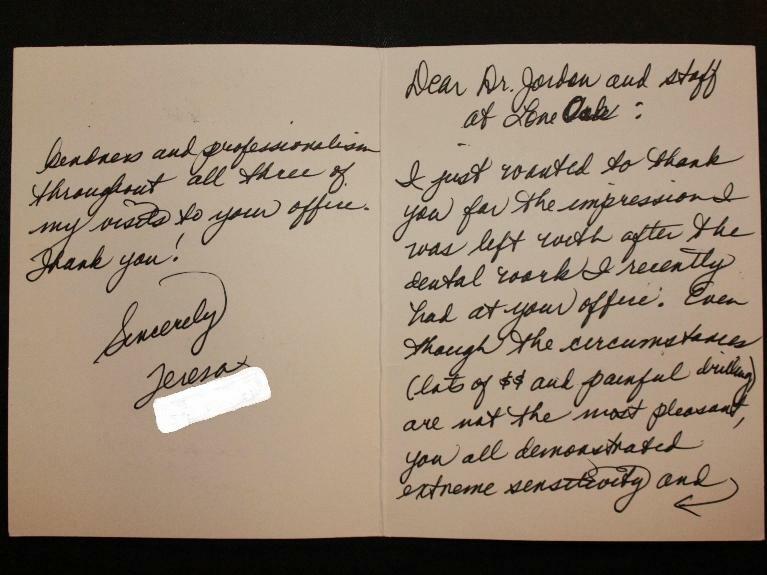 Even though the circumstances (lots of $$ and drilling) are not the most pleasant, you all demonstrated extreme sensitivity and kindness and professionalism throughout all three of my visits to your office. Thank you! Jennifer describes her experience in our office. Drew telling us how his root canal went. Just a note to thank you for making my dental appointment a pleasant experience. I also appreciate the friendly staff and pleasant atmosphere. Thank you again.